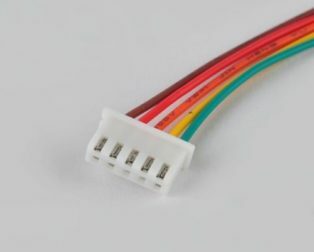 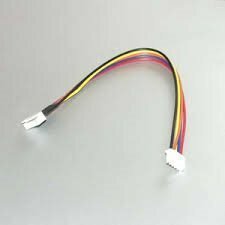 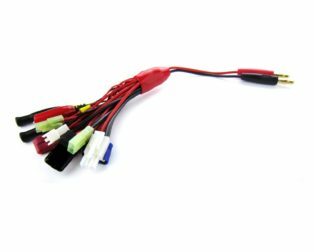 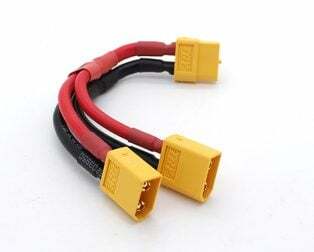 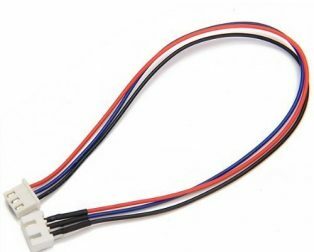 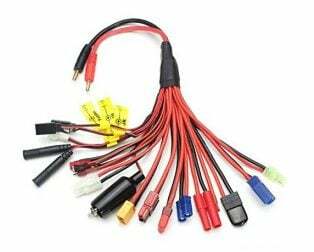 This is SafeConnect T-Connector Series Harness (2M1F). 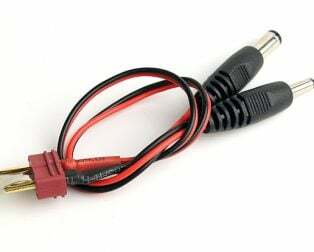 This SafeConnect battery adapter connector allows you to plug two batteries with T-Plug style connectors together in Series to power a single speed controller. 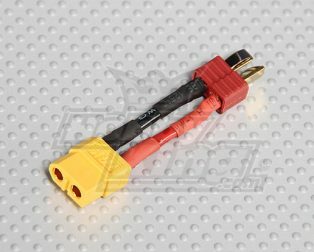 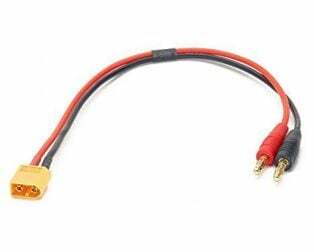 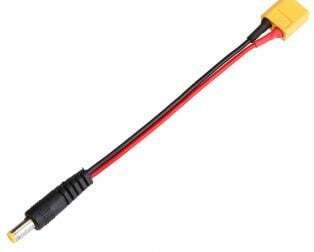 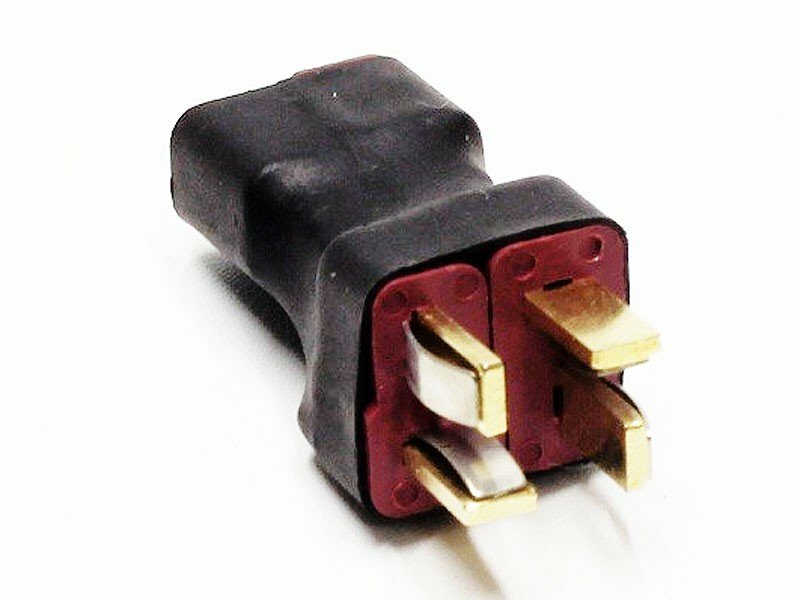 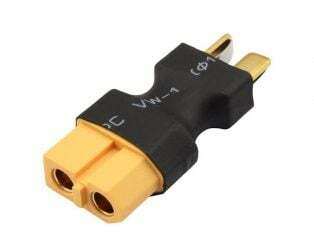 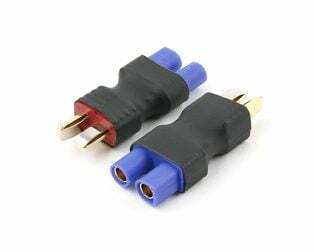 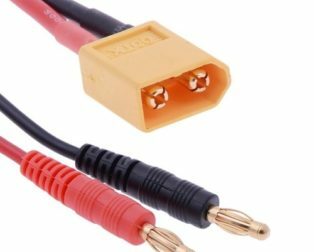 This adapter is built with the newest High-Quality T-Plugs to be able to handle the higher currents of larger aircraft. 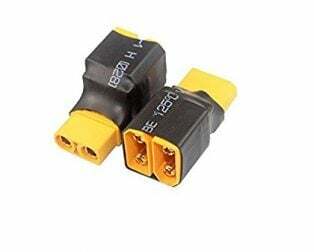 To use this adapter, both batteries must have the same mah capacity. 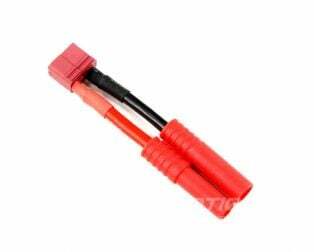 For example, two 3-cell 2200mah batteries can be connected together to form a 6-cell 2200mah battery. 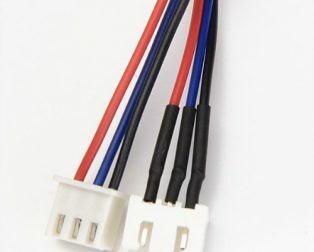 You can also use cells with a different number of cells, as long as the capacity is the same. 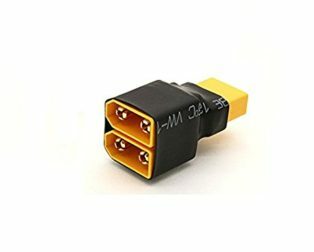 You could take a 2-cell 2200mah battery and connect it with a 3-cell 2200mah battery to make a single 5-cell 2200mah battery.